All of the material on this website is Copyright © 2018 by Bob Yandian Ministries and/or its contributing authors. Reproduction, publishing, broadcasting, and posting online in full or part, is prohibited without written consent. Printing and downloading pages, audio, and video is permitted for personal or group/church use for the purpose of study. Shipping option estimates (example: 1-3 days or 5-8 days) apply to the date the order is shipped, not the date the order is placed. 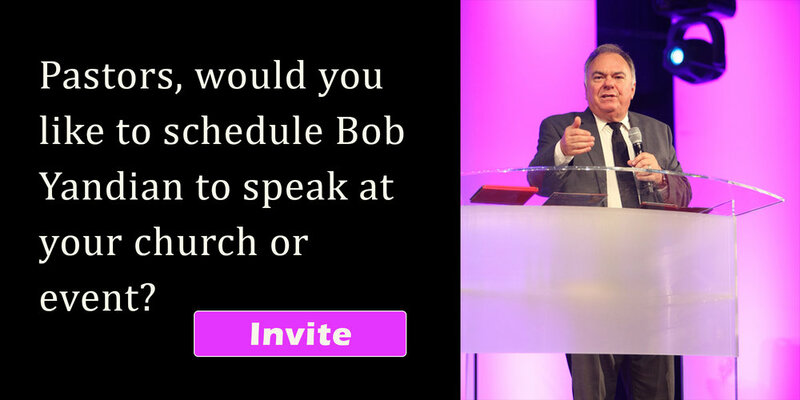 Bob Yandian Ministries cannot guarantee delivery dates. If you are placing a priority order and need your order expedited place contact us by email or phone. For questions or permission inquiries please Contact Us.